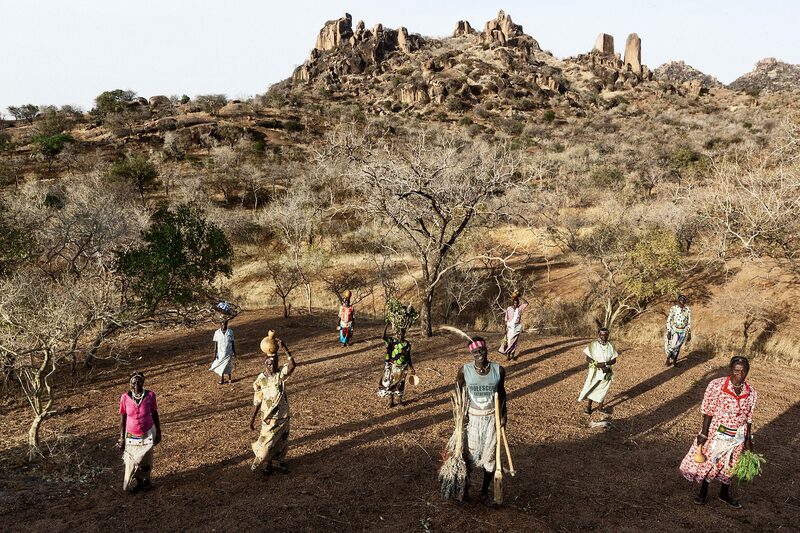 The Nuba Mountains rise from the semi-arid savannah of South Kordofan, one of the largest states of Sudan bordering what is now the Republic of South Sudan. The population is dominated by over 50 distinct ethnic groups of black African origin collectively known as the Nuba. Settled small holder farmers, the Nuba have lived alongside a number of Arab pastoralist tribes relatively peacefully for generations. In addition to its remarkably rich and engaging culture, Nuba society is characterised by religious tolerance (there being about equal numbers of Muslims and Christians with many still respecting traditional ancestral beliefs), ethnic diversity and expectations of local accountability and good governance not commonly found elsewhere in the country. 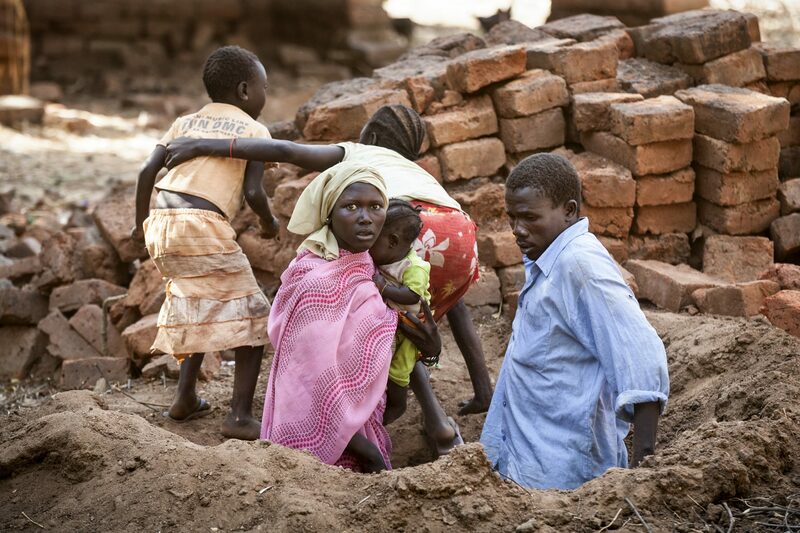 It is estimated that at many as three million Sudanese are Nuba, many living in the slums of cities in the north. As with other Sudanese living on the peripheries (including the people of Darfur, Blue Nile, Abyei, Red Sea Hills, and the far north), the people of South Kordofan have been marginalised for generations by the policies of successive Khartoum-based Governments. As a result, they face restricted educational and employment opportunities, lack of land tenure and huge loss of land to outsider mechanised schemes, social discrimination, lack of political rights, banning of local languages from school curricula and ever increasing poverty and frustration. Failure to bring about any changes through political process and alarm at the undemocratic imposition of Sha’ria law (in 1983) eventually resulted in armed resistance, initially alongside the southern Sudanese insurrection led by Dr John Garang. In 2005, an internationally brokered “peace agreement” led eventually to the secession of South Sudan but failed to address the marginalisation of Nuba and other peripheral ethnic groups in (northern) Sudan. 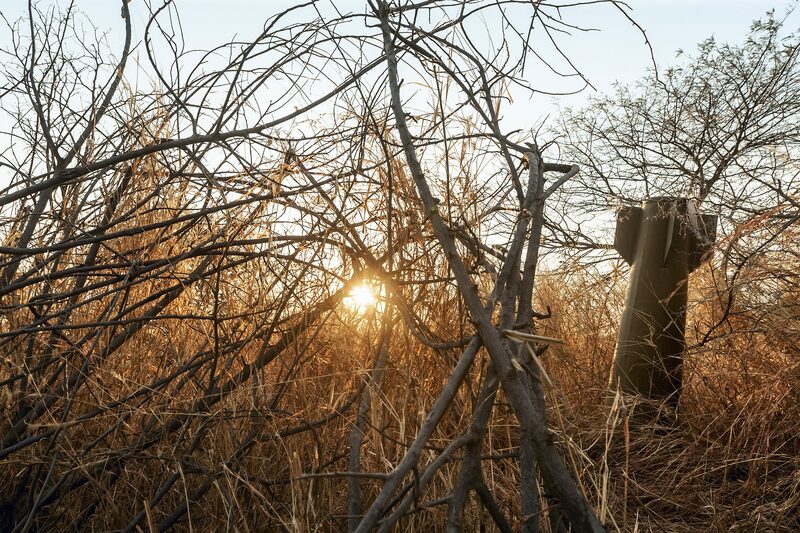 In 2011 the region returned to civil-war and currently the Nuba opposition are fighting as part of an alliance of northern Sudanese opposition groups resisting the continued oppressive policies of Omar al Bashir’s National Congress Party. As in Darfur and Blue Nile, the efforts of the Khartoum government to stamp out any opposition have been particularly brutal. An area of some 40,000 square kilometres, home to over a million people, has been effectively surrounded by the Sudan Armed Forces (SAF) and Government paid militias deprived of any public services (including markets, transport, power and telecommunications) or access to international or national humanitarian aid. Civilian villages are bombed and shelled daily, hospitals and schools are targeted, hunger is used as a weapon of war, villages are burnt to the ground and captured civilians are routinely tortured, raped and executed. 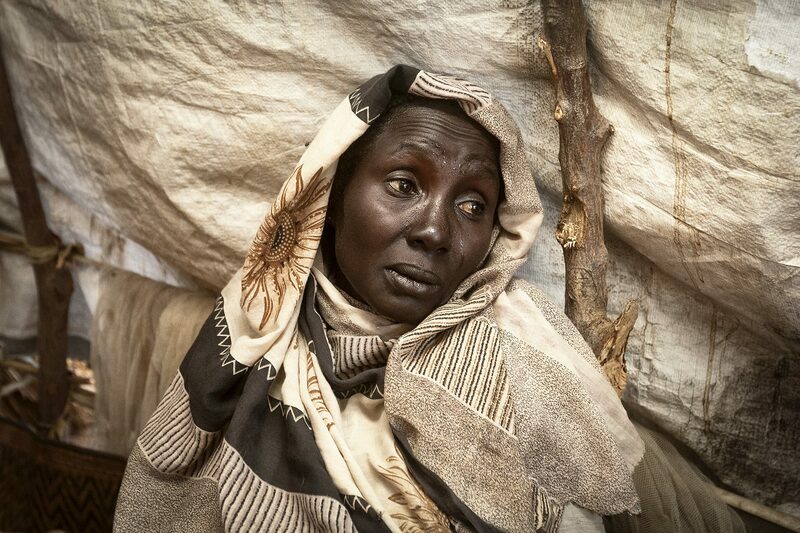 Several thousands of Nuba have died since the war restarted in 2011, over 400,000 have lost their homes and possessions and remain internally displaced with little or no assistance. More than 80,000 are refugees in camps in increasingly insecure border area of South Sudan and this figure is expected to rise significantly. However, despite all these atrocities, the local population continues to demonstrate enormous resilience and a determination to resist the brutal oppression of Bashir’s regime and to help bring about the democratic transformation of Sudan of which they dream. They dig foxholes to reduce the number of deaths from bombs and shells, they share food and shelter, they seek refuge in the mountains. They continue to celebrate their ethnic and cultural diversity and religious tolerance. And perhaps most remarkably, they continue to show a real readiness for forgiveness. They talk not of revenge but of reconstruction in a united and peaceful Sudan that promotes pluralism, justice, mutual respect and codependence. In a region beset by conflict, extremism and instability, the people of the Nuba Mountains provide an all too rare alternative narrative. If they can survive this war, perhaps they will also contribute to a longer term transformation in Sudan that allows genuine African democracy, peaceful coexistence and pluralism to replace conflict and dictatorship. 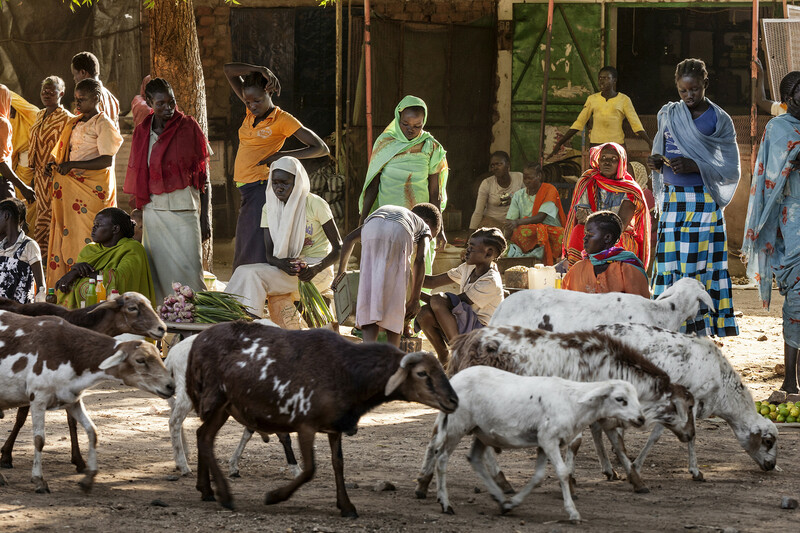 A busy day at a local market in the heart of the Nuba Mountains. 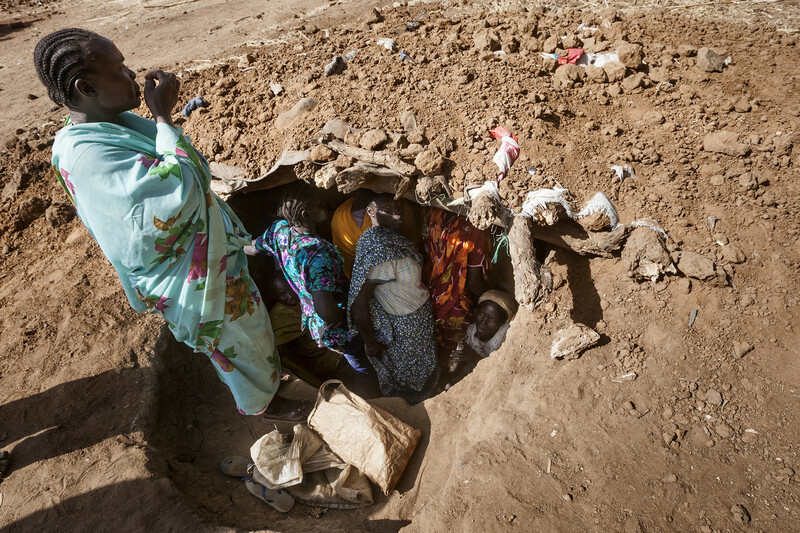 Despite the frequent bombing of such civilian targets by the Sudan airforce, communities brave the risks of congregating for economic and social reasons as they strive to maintain some semblance of normality amidst the horrors of war. People collecting water in Ragafi river bed during the dry season. In many villages , hand pumps have been destroyed by Government forces during land attacks or targeted bombing and shelling on villages. Umdorein County, South Kordofan, Sudan. “They (the Regime of Omar Bashir) say they are our Government! But we want true democracy, not murderers” Awatif Musa, a grandmother of 48 years, says as she waits in line. A man is laying on the ground as a Government Antonov plane is bombing Kauda Town. Communities have learnt that lying down increases their chances of surviving the devastating shrapnel-filled barrel bombs that remain the most frequently dropped ordinance to date. 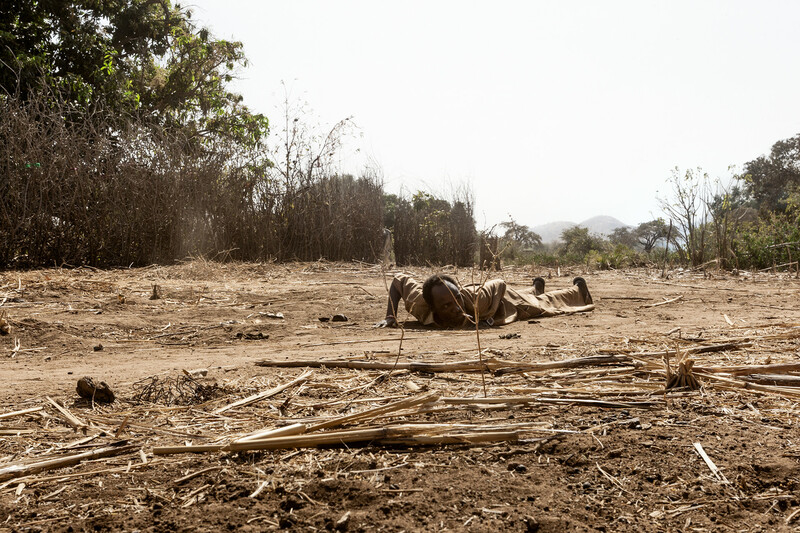 In three and a half years up to April 2015, the Sudan Air Force has dropped over 3,700 bombs on civilian sites in the Nuba Mountains. South Kordofan, Sudan. A group of women inside a foxhole after a bombing raid . Given the frequency of bombing and shelling of civilian targets, communities depend on fox holes and caves in the mountains to reduce casualties. Women have played a key role in promoting the spread of effective self-protection measures. As bombing and shelling intensity increases , they are having to construct ever larger shelters. 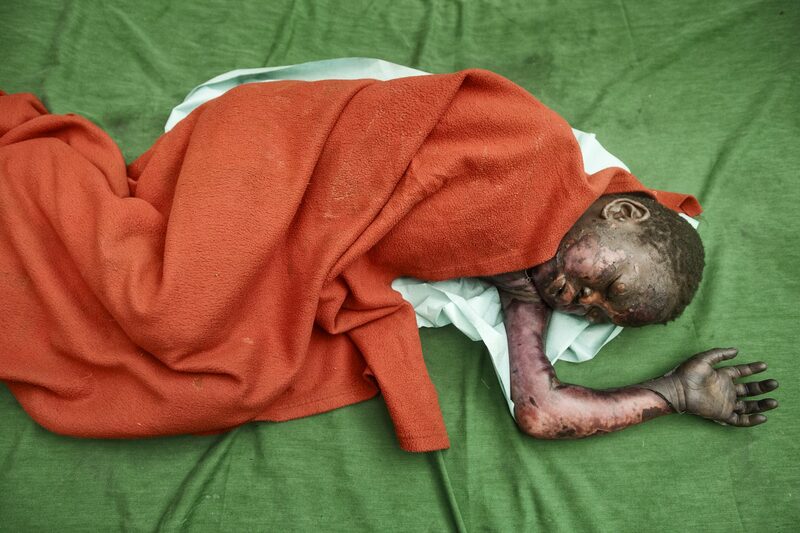 Six children of age between 2 and 11 lay in Mother of Mercy hospital with more then 50% of their bodies burned caused by an artillery shell that blasted through the roof at 4am on Tuesday the 3rd of February in Um Serdiba village. Nine children were sleeping in a foxhole inside the house, three died immediately. The next day another girl died at the hospital. Three are seriously burned and the head surgeon of the hospital is not sure if they are going to survive. South Kordofan, Sudan. A family comes out from a foxhole after protecting themselves from 12 bombs that were dropped in Kauda town centre in just five minutes. Local civil society organisations are seeking help to deal with the increasing cases of psycho-social trauma resulting from the constant terror of attack from bombs, shells and rockets. Displaced Sana Mahjub, 26 yrs old, cleans the beans for lunch with the help of her children outside the small cave where they now have to live since their village was destroyed. It is estimated that more than 400,000 peotple living in similar conditions have been displaced since the war started nearly 4 years ago as a result of targeted bombing, shelling and land attacks by Government forces. Dalami County, South Kordofan, Sudan. Yida refugee camp across the international border in Unity State of South Sudan, remains a last resort for many Nuba families. 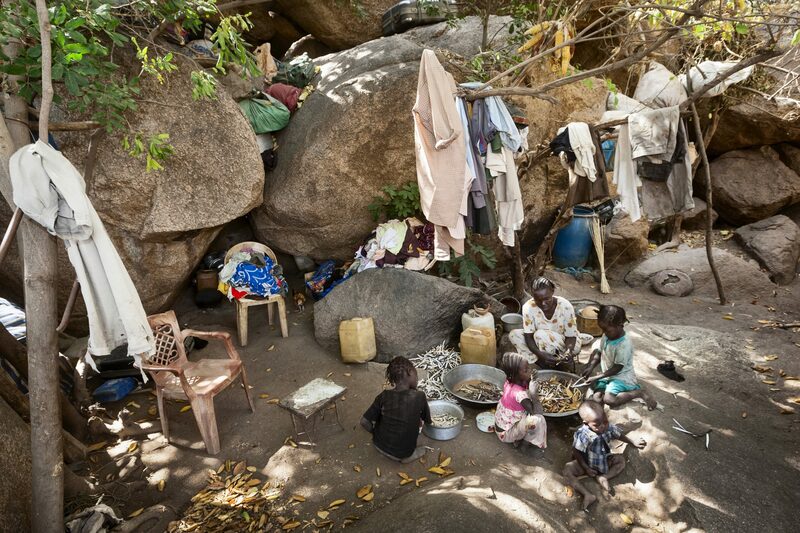 Currently some 66,000 Nuba people are living here as refugees . 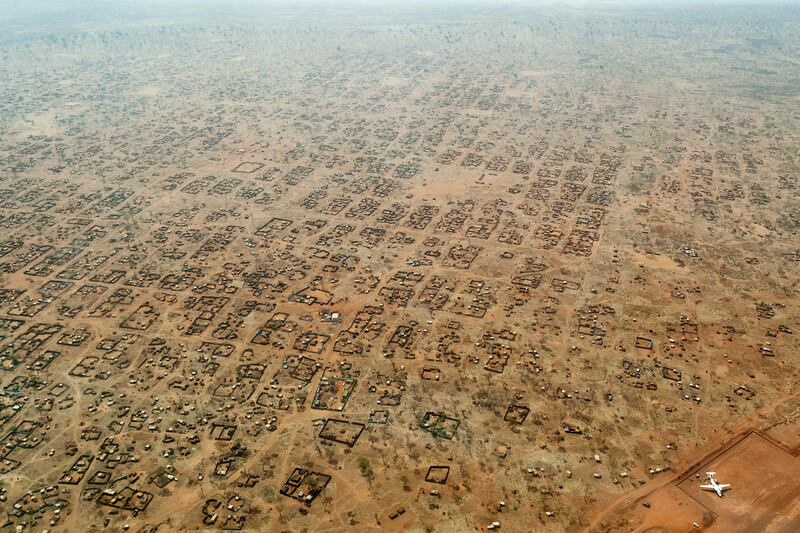 The camp which itself was bombed by the Sudan airforce, now faces insecurity challenges from the South Sudan civil war. Due to disagreements over positioning of the camp, UNHCR nor any other international assistance agencies provide any schooling to children since the camp opened 4 years ago – so local Nuba civil society plays an important role in providing education services. An unexploded bomb dropped by the Sudanese Government lays in a middle of the field next to a primary health center, South Kordofan, Sudan. Now that the Sudanese Government has also started to drop cluster bombs on civilian targets, the risks of continuing deaths and injuries from UXOs will increase. A displaced woman cries at the news of the death of Najamadin 22 yrs old, killed by Government soldiers while he was taking care of the community’s cattle. Abdulbaghi, his brother, who was with him, managed to escape and run back to their make shift home to tell his mother. Dalami County, South Kordofan, Sudan. 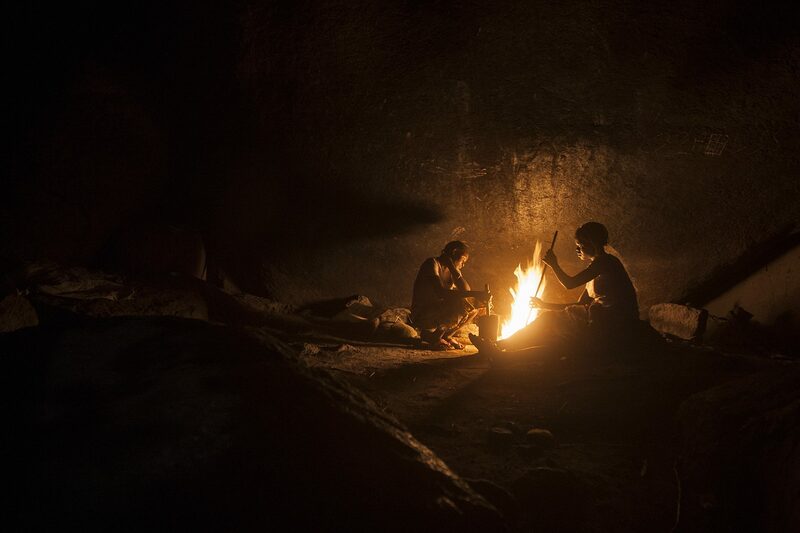 Displaced Mary Musa, (left) 26 yrs old, and Khadmalla Abuzet, 18 yrs old, cook the evening meal of Baliila, (maize, sorghum and beans) next to a rocky mountain near Tunguli village. Families move to such shelter in the evenings as night time bombing and shelling becomes increasingly frequent . 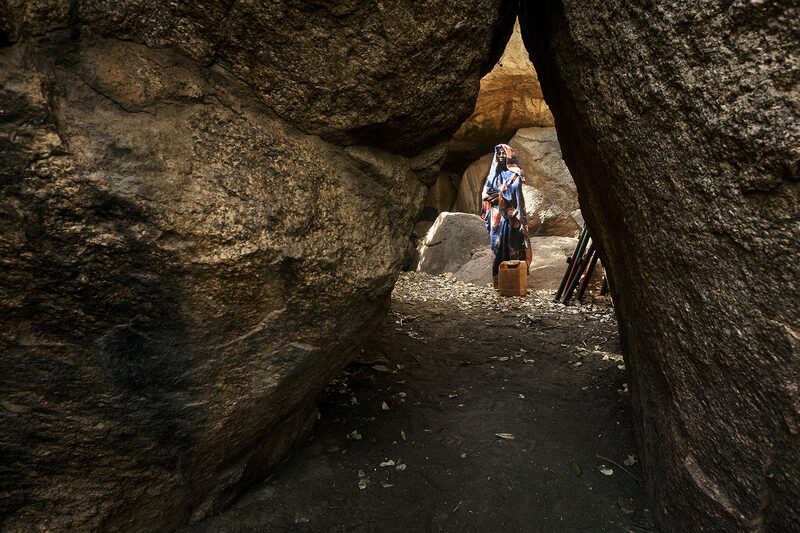 Stir Ahmed, 26 yrs old, inside the cave where she keeps some of her belongings and shelters if she can during frequent bombing raids on Tunguli Village, Dalami County, South Kordofan, Sudan. Alnjama Alzahabia cultural group , meaning Gold Stars, poses for a photo in Dalami County with a typical local backdrop. Music, dance and cultural events are integral to Nuba society and continue to play an important role in countering the psycho-social trauma caused by the war.